Lined with shock absorbing nitrate. Double hook-and-loop closures ensure that the boot remains secure in the most adverse conditions. 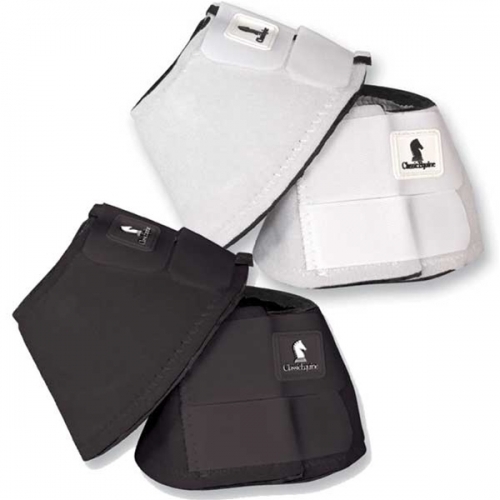 Wrap around design provides a double layer of protection to the horse&apos;s foot. Softer design for horses sensitive in the fetlock area. Great for horses that have corrective shoeing due to its flexible design. Lined with shock absorbing nitrate. Double velcro closures ensure that the boot remains secure in the most adverse conditions.